I still love this sweet, delicate rendering of Helen and Dave. Also, Ballad is a lovely comic. 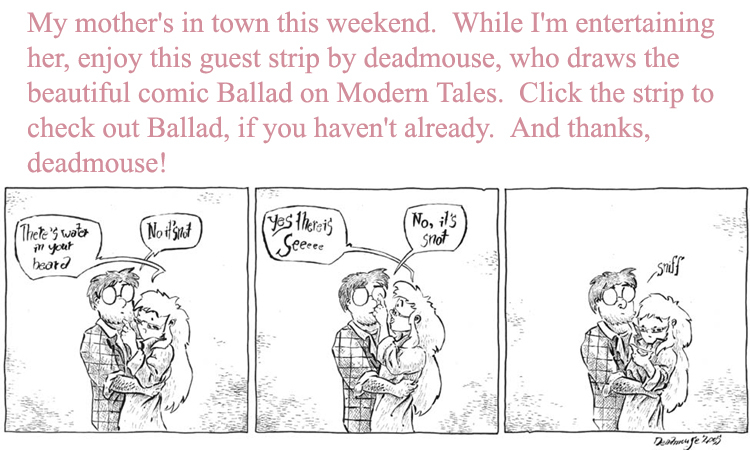 Ballad has one of my favourite introduction sequences in all of webcomics. I wish deadmouse’s site was still up. I have to assume that Dave used Helen’s ingenious, if ridiculously complicated and disgusting, snot-based communications system to encode “I love you” or something of that nature into its amino acids.